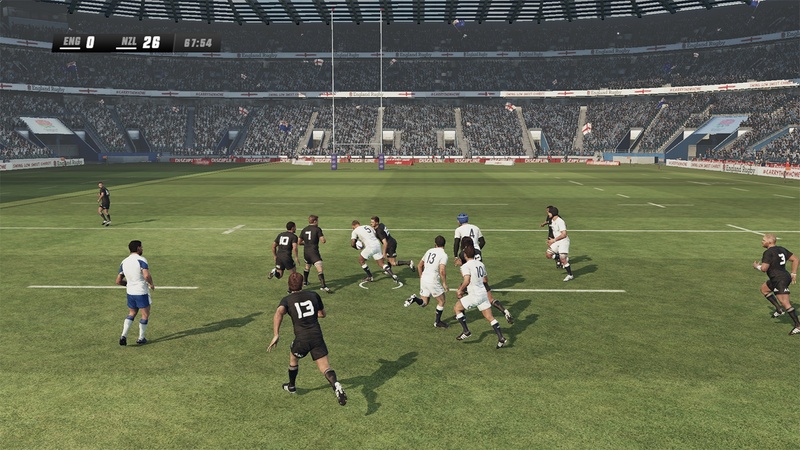 Learn the trials and tribulations of developing a rugby union sim. 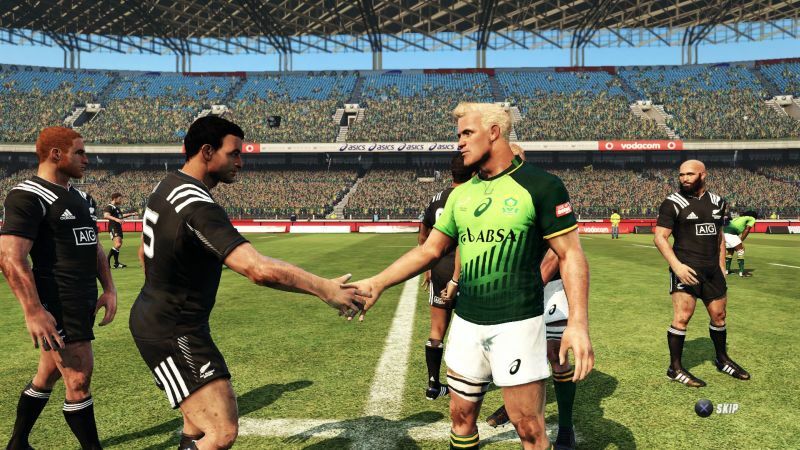 Managing a rugby team isn’t easy and doing it in a video game is all the more challenging. How do you balance a team of powerful warriors tackling their foes on the field for possession of a leather ball? Well, there’s more to it than that – like the actual finances and ensuring your team stays happy throughout it all. Regardless, if you want to best know about rugby team management, then Rugby Challenge 3 should be up your alley – it’s currently available for PS4, Xbox One, PS3, Xbox 360 and PC. GamingBolt spoke to Wicked Witch Software about the game before it’s release to learn about the challenges faced in development and working on current gen consoles. "The game is now more realistic and authentic than ever before with more teams, and fine-tuned gameplay aspects such as passing and formations and many other details of the game." We haven’t heard too much about Rugby Challenge 3 since its initial announcement in July. How is development currently progressing? Development is complete! We invested a lot of development time to add Be A Pro mode, Rugby Sevens and an online FanHub for users to create players and teams – each of these major features bring a whole new experience to the existing game. As well as this, significant time was spent improving subtle details of the games based on a lot of fan feedback that had been captured. Can you tell us about the different teams that will feature? How does the roster selection compare to the previous game? All Blacks, Wallabies, Springboks and England. They appear in international and sevens international competitions: Avivia, The NRC, Currie Cup, Super Rugby, ITM Cup and more! How is Ruby Challenge 3 working to differentiate the various teams as well as their respective players from each other? Each team has unique team lineups and players with unique appearances. The stats also affect the gameplay on field. Furthermore, we tried to get the overall ratings roughly the same level as the real life teams IRB rankings. What kind of effort has gone into creating the authentic rugby atmosphere that players enjoy most from the sport (for example, the commentary, crowd ambience, etc.)? Most of the work went into new features. The game is now more realistic and authentic than ever before with more teams, and fine-tuned gameplay aspects such as passing and formations and many other details of the game. Be a Pro mode is one of the bigger new additions and allows players to build themselves up over 13 seasons. What can you tell us about the various challenges that can be expected on the way to international fame? You can play rugby from a professional rugby players point of view, customise and control your player though their career. Gain an all new insight and experience from controlling the game from a single player’s perspective. As you progress you are given objectives depending on your position, which get more difficult over time and tie into the new be a pro achievements. "We really had to squeeze to get all the new features into the old generation consoles. Each feature we added meant we had to optimize and save some space somewhere." Will there be any new additions to the multiplayer modes this time around? The game now supports the addition to multiplayer, the Sevens or 15’s options in either a private or a quick / ranked match. 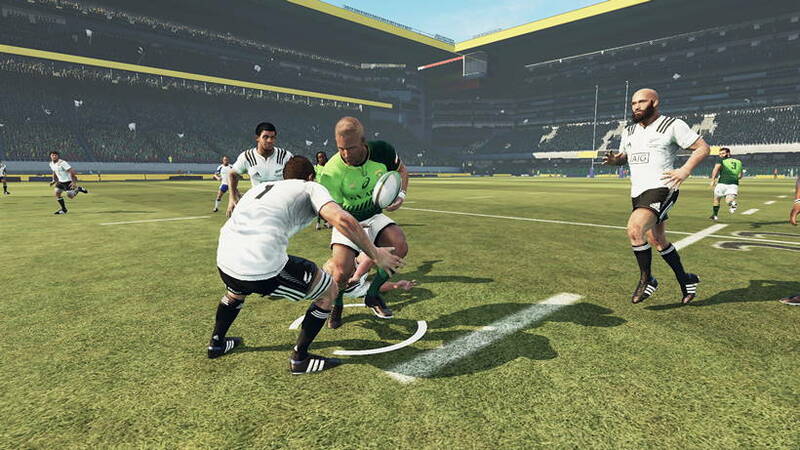 Rugby Challenge 3 will be heading to the Xbox One and PS4 as well as Xbox 360 and PS3 (aside from PC as well). Can you tell us about some of the new visual touches and features? On next generation consoles our main goal was to achieve 1080p. This meant we were able to increase the detail of all the textures, and sharpen the graphics of the stadia as well. The new game is about 4x the resolution of the previous titles. We also made sure we kept the same overall visual, style and look and feel from the previous titles in the series. Will the game run at 1080p resolution and 60 FPS on current gen consoles? Did you have any issue bringing all of the game’s features to the previous generation of consoles? The game will be running in 1080p at a smooth 30 FPS. We really had to squeeze to get all the new features into the old generation consoles. Each feature we added meant we had to optimize and save some space somewhere. Due to the experience and technical skills of the Wicked Witch team, this was not only possible, but quite amazing to see how much more could be packed into an already fully featured game! What can you tell us about the potential behind FanHub when it comes to fans creating and sharing players in the community? This is one of the big new features to RC3, this area allows fans to create player likenesses the way that they see them, and edit stats of players and teams as time goes on. You can also create your own dream teams with any players that you want! What is the one feature you’re most excited about in Rugby Challenge 3 and how will it change the way people view the franchise going forward? It is a tossup between Seven’s and Be a Pro mode. The studio is divided on which one of these is the best feature, as they both bring a whole new playing experience to an already great game. "We are always optimizing and improving our game engine with Direct X updates, some features certainly improve performance so we always ensure we are up to date." We have had several developers in the past confirming to us that it’s a challenge to handle Xbox One’s eSRAM whereas some others are using it wisely for storing z-buffer and texture streaming. How did the development team handle the eSRAM issue of the Xbox One? Yes, there were challenges on both next generation platforms, preserving the gameplay and increasing the resolution and texture densities. The eSRAM issue was handled fairly easily by the development team as one of the many challenges! Are you using the latest SDK that allows more CPU power for the Xbox One? If yes, how is this impacting the game’s performance? We are using a recent SDK that allows us to use the core that was previously dedicated to the Kinect. This has been helpful in getting some better performance for the Xbox One and allowing us to run at 1080p. This is the first installment of RC3 on Xbox One / PS4 and we are confident we can build on this and improve features and performance overtime. What are your thoughts on upcoming technologies such as DirectX What kind of impact do you think it will have PC and Xbox One games? We are always optimizing and improving our game engine with Direct X updates, some features certainly improve performance so we always ensure we are up to date. Microsoft is great at releasing updates and providing direct support to our studio that enables us to do that. We hope that you all enjoy what we have done with the Rugby Challenge franchise, and if you have any questions or feedback, please let us know!